We dedicate Saturdays in the summer to women. 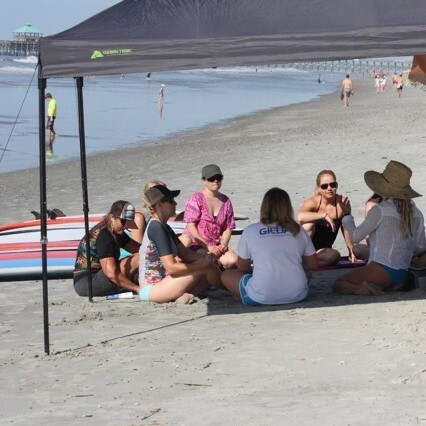 Meeting in the morning to share surfing techniques and safety tips, we accompany our time in the water with beach yoga specifically designed to help you surf stronger! We establish lasting friendships & leave the beach wanting to surf more. Choose your Saturday below & call (843) 607-9911 or email to sign up! We accept checks & cash.